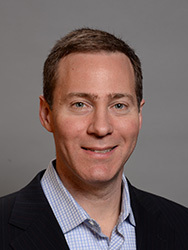 Scott Bernstein serves as Chairman and Chief Executive Officer of OSG where he is responsible for the overall direction and leadership of the company. 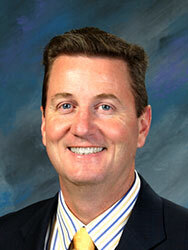 He joined the OSG Board of Directors in April of 2010 and became the company's CEO in November of 2010. Bernstein is an accomplished CEO, with a broad range of industry-related experience that includes building quality organizations and driving growth. Herring joined OSG in 2008, bringing 20 years of developing, growing and managing divisions within the healthcare industry. Prior to OSG, Herring was the Chief Financial Officer at Lakewood Pathology Associates, Inc., where he was responsible for all aspects of financial management, billing, IT, HR and general administration. In addition, he spent several years honing his skills at Laboratory Corporation of America, where he was the Senior Vice President for their Northeast division, the second largest operating unit of LabCorp, a publicly traded S&P 500 Company in the clinical laboratory diagnostic testing sector. Herring holds his Bachelor of Science degree in Accounting from Villanova University. 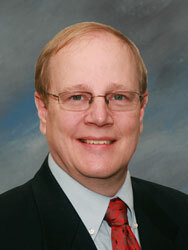 Prior to joining OSG Whaley spent 15 years building his career in the electronic printing field at Comvestrix. Whaley served as a key executive and helped to take the company public under the name of Vestcom International. 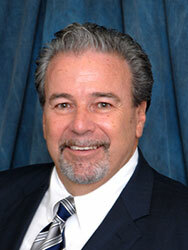 His roles included Vice President of Sales, Regional Sales Manager and District Manager. Prior to working at Comvestrix, Whaley spent two years in the office products division at Burroughs Corporation. Whaley has been an associate board member of the Competitive Carriers Association (CCA) since 2007, and currently serves on the CCA Board’s Executive Committee as Secretary. He often appears as a guest speaker at industry events and regularly has articles published in trade magazines such as the CCA Voice and other publications. Whaley holds a Bachelor of Science in Marketing from the State University of New York at Oswego. Prior to joining OSG, Metviner served as Executive Vice President of Pitney Bowes, Inc. where he held the additional titles of President of Pitney Bowes Direct and President, Global Mainstream for Pitney Bowes Europe. 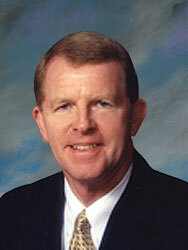 He has also served as a senior executive with Cendant and National Westminster Bancorp. 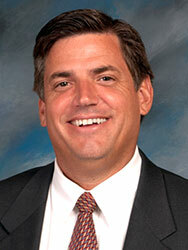 In 2002 Metviner was named the Direct Marketing Association’s B2B Marketer of the Year. Over his 30-year career, Metviner has effectively built and transformed organizations using his skills in strategy, operations and process improvement. Metviner holds Bachelor of Arts and MBA degrees from Case Western Reserve University, and has completed the Advanced Management Program at the Executive Leadership Institute of the Boston University School of Management. Prior to joining OSG in 2017, Harter was CEO and Chairman of the Board at Microdynamics Group. He worked at Microdynamics Group for 27 years and held various leadership roles including Chief Revenue Officer and President. Under his leadership, he led more than 180 employees with annual revenue exceeding $100 million. During his tenure the company was named a Crain's Chicago Fast 50 company and in 2015 was named an Inc. 5000 fastest growing company. Harter holds a Bachelor of Liberal Arts from The University of Iowa. Prior to joining OSG in 2014, Connolly worked for SouthData, Inc. for nine years. Prior to that he held executive management positions with manufacturing firms. His responsibilities involved overseeing multiple manufacturing plants in North Carolina, Virginia and international locations, employing more than 4,500 people with annual sales in excess of $150 million. His management background includes the areas of manufacturing, product development, finance, engineering and sales. Connolly graduated from NC State University with a degree in Business and Economics. 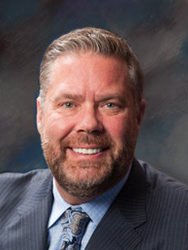 Prior to joining OSG in 2012, Delaney was President of Diversified Technology Group (DTG) for 17 years, a consulting firm serving the print to mail industry focused in disciplines of application development, advanced technology implementation and production factory deployment. He also has held a wide range of management positions during his career at NYNEX (Verizon) prior to DTG. 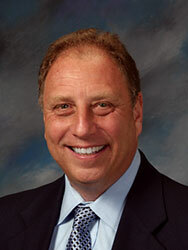 Delaney holds a Bachelor of Business Administration from Baruch College – CUNY. Prior to joining OSG, Satisky worked at NCR Corporation as General Manager, Global Enterprise, Merchandising and Supply Chain Solutions and in Corporate Development, where he led several acquisitions and partnerships in the software and payments sectors. Previously, he worked in investment banking at Morgan Keegan, Credit Suisse and Deutsche Bank and in public accounting at PwC. 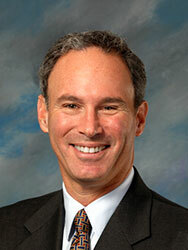 Satisky holds a BSBA from Washington University in St. Louis and an MBA from Duke University. Prior to joining OSG, Donohue worked for First Chicago Trust Company of New York where he developed his position from Project Leader for Employee Plans and Dividend Reinvestment Systems to Assistant Vice President of Applied Technology and Demutualization Systems and eventually to Vice President of the advanced function printing group. Donohue holds a Bachelor of Science in Computer Science from the State University of New York at Oswego. 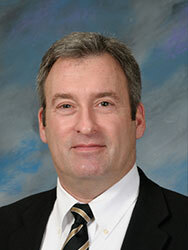 Prior to joining OSG in 2014, Springthorpe was the Vice President of Network Services for SouthData, Inc. In this role, he directed the activities of SouthData’s Network Systems Division and researched and advised senior management on technology issues. He was also responsible for leading the SSAE-16 (formally SAS-70) computer audit team. Springthorpe has 30 years of experience in computer network design, implementation and support. He founded Network Dynamics, Inc., a network engineering firm specializing in the design and integration of local and wide area networks and providing support services for servers and desktop systems. Springthorpe holds a Bachelor of Science degree in Computer Science from North Carolina State University.